TPN – The Pallet Network is the leading pallet network in the UK offering an unrivalled postcode coverage and service levels for all palletised freight. The network has three Hubs, a central purpose built site in Minworth, near Sutton Coldfield; its FDC-run Northern Hub near Preston; and a third in Northampton. FDC has been a Member of TPN for 15 years and is extremely proud to manage the busiest regional Hub in the UK pallet network sector for TPN. Last year the Northern Hub handled 285,000 pallets making it an extremely successful and efficient operation. 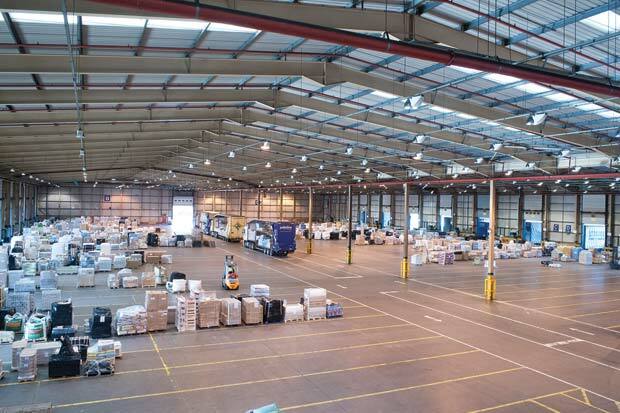 FDC Holdings, which specialises in palletised distribution and storage for some of the UK’s largest brands, manages the hub on behalf of THE Pallet Network, using FDC’s 306,766 sq ft site at Walton Summit, near Preston. This has been a great step for the company but also for the local Lancashire economy creating nine jobs straight away and bringing wealth, economic activity and attention to the area. FDC aimed to create at least 20 new jobs in the Hub’s first year of operation. Why do regional Hubs matter? Regional Hubs, like FDC’s Northern Hub for TPN, are pivotal in improving the carbon footprint of palletised goods. Pallet networks cut the miles that trucks and their loads must travel. They do this by bringing all the palletised freight from the regions into a central point, sorting them by postcode and then reloading them into the trailer of the haulier most convenient for their delivery. The Northern Hub takes this concept further by collecting all the pallets both originating in and destined for the North of England or Scotland. TPN estimates this takes approximately 200 miles off the journey for each pallet, or saved over one million miles in 2017 assuming each pallet was carried in a fully-laden double deck trailer. As well as improving our customers’ environmental credentials, the Northern Hub also means that these pallets are ready for delivery sooner and so helps make deliveries even more timely and reliable. It also allows the network as a whole to handle ever increasing amounts of freight without impacting service levels. FDC’s Northern Hub originally took 1,000 pallets a night. Now it is the busiest regional Hub in the pallet network sector. TPN delivered more than four million pallets in 2017, averaging about 80,000 per week. FDC is extremely pleased to have been able to lend its own infrastructure to that effort and to know that our operation helps TPN to maintain its peak-proof service levels. Peter Allen, managing director of FDC, said: “TPN is experiencing such strong growth in pallet volumes that its central hub alone is no longer enough.